Why is this particularly problematic? Because the world of finance is both fascinating and well-paying. 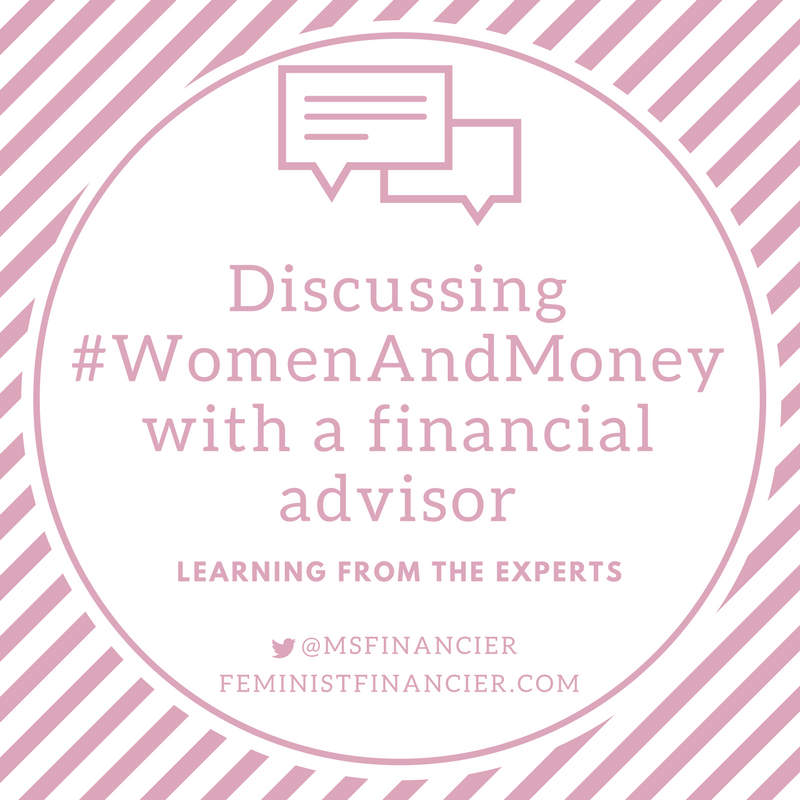 Many women may not even consider a career in finance because of the gender imbalance, or may write off money and personal finance as too complex because so much money talk is gendered (written for men, by men). These bleak statistics make the story of Muriel “Mickie” Siebert even more fascinating. In 1967, she became the first woman to own a seat on the New York Stock Exchange (NYSE). Born in Ohio, Siebert visited the NYSE for the first time as a teenager, and she was immediately intrigued by the scene on the trading floor. The energy, constant dealmaking, and controlled chaos struck a chord in her, and she remarked to her friends that she would like to work there one day. Siebert returned to Ohio and studied at Case Western Reserve University from 1949 to 1952, but never earned her degree. During her time in college, she enjoyed her business classes, recalling, “I could look at a page of numbers, and they would light up like a Broadway marquee.” Sadly, her father fell ill and Siebert left college early. She never returned to finish her degree, but was awarded over 20 honorary doctorates throughout her life. Despite all of her rapid success, Siebert faced a wage gap, taking home only 60% of what men in similar roles earned. Frustrated by the inequality, she sought a firm that would pay her equally. Another Wall Street titan advised her to pave her own way, and Siebert decided to take her financial future into her own hands by pursuing a seat on the NYSE and eventually, opening her own brokerage. In 1967, thirteen years after she relocated to New York, Siebert fought relentlessly to secure her seat on the exchange. In the 175 year history of the NYSE, every seat had previously been held by a man. Up until Siebert’s request, no woman had asked to purchase a seat. Her quest to secure the seat - which would allow her to trade on the floor of the stock market, and therefore have very direct control over the flow of assets - was challenging. (A seat is an important component to owning a brokerage, allowing Siebert to buy and sell securities on behalf of her future clients.) First, she needed a sponsor. She asked nine men - who refused - finally securing a sponsor when she approached the tenth. After confirming a sponsor, Siebert had to fund the seat. She reports getting caught in a Catch-22, where the NYSE required her to secure a loan for $300,000 of the $445,000 seat price...which banks were reluctant to lend her until she had secured the seat. Notably, this financing arrangement was a requirement that had not been demanded of other (male) applicants. On December 28, 1967, Siebert was elected to the NYSE, after several years of effort to align sponsorship and financing. Notably, she was the only woman (among 1,365 men) for the next decade. 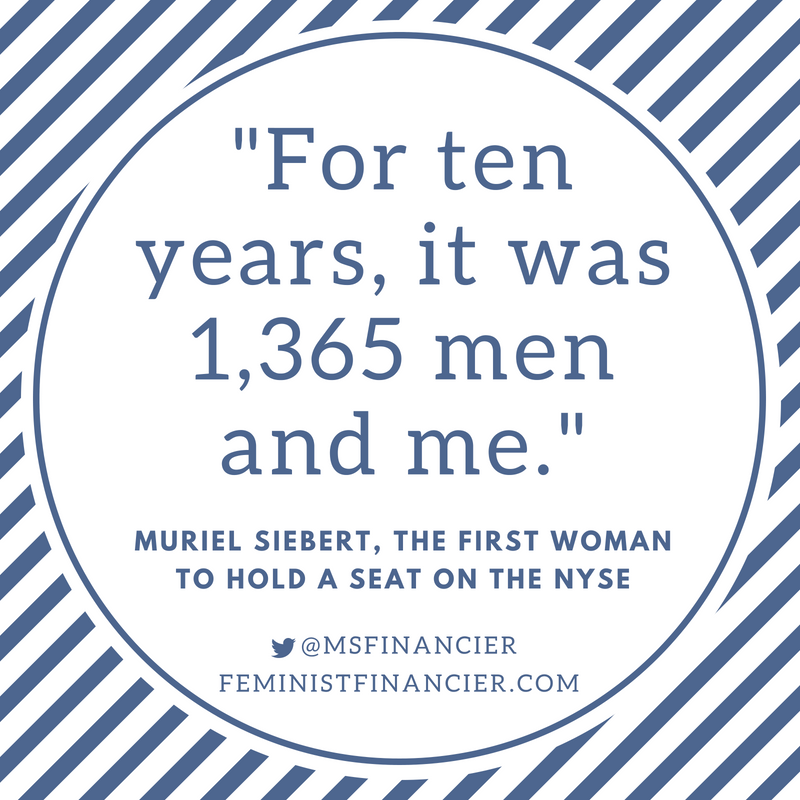 Shortly thereafter, she opened her own brokerage firm, Muriel Siebert & Company - the first woman owned-and-operated firm of its kind. Today, the company continues to uphold the values Muriel followed when creating the firm, including a respect for other people’s money. She also railed against mens-only clubs, fighting to get access for women, and lobbying the NYSE to install a women’s restroom near the luncheon club she frequented on the seventh floor. As a woman of Jewish faith, she regularly experienced anti-Semitism. Later in life, her advocacy continued. Among many efforts, Siebert launched the Siebert Entrepreneurial Philanthropy Plan, which directed a share of her firm’s profits to support charitable efforts. She was also key to developing programs that supported financial literacy among women, in partnership with the New York Women’s Agenda. Her foundation also developed the Siebert Personal Finance Program, aimed at improving financial literacy, targeted at middle and high school students but offered to adults as well. Siebert’s impressive personal story, and the impact she had on the community, serves as a reminder that we can achieve amazing things. Her success is not accidental, but the result of a smart, driven woman fighting for what she believes is right, and doing well (for herself and others) along the way. Coffee is a hot topic in the personal finance world. I’m serious! Much ink has been spilled doing the math on how much we’re spending on our daily coffee order. If you Google “give up coffee to save money” you’ll see pages of posts, with particular judgement for those of us (like me) that indulge at Starbucks. I’m here to confront this trope. I realize this is deeply controversial, so hold on to your hats! First things first: purchased coffee is an equivalent experience to home brew. If you believe this statement, fine, give up Dunkin’ Donuts and bank the savings. However, many of us view our daily purchased coffee as an indulgence - a special, delicious treat in our routine. I represent those who see our local coffee shop, Starbucks, Costa, Tim Horton’s or Dunkin’ Donuts as a yummy delight. If your daily coffee is more than just a caffeine boost, you surrender more than an “overpriced beverage” by giving it up. You lose a stroll to the coffee shop with a co-worker, friend, or mentor. You miss out on the social experience of sitting at the bar and enjoying a leisurely chat with neighbors that stroll in. You give up the opportunity to enjoy a creative (Wi-Fi connected) space to launch your side hustle. You might argue that other places can offer the same experience - a library, for example. Possibly, though my library is less social than my local coffee shop. Don’t get me wrong - I adore my local library! But, patrons are often studying, researching for a project, polishing their resume, or quietly reading. It’s a different experience than a vibrant coffee shop. I’m biased - I launched my blog from a coffee shop. It’s where I do some of my best creative thinking. And the coffee shops near my company offices have been host to some of my funniest, most insightful, meaningful career conversations. To me, that’s worth more than the cost of the drink itself. If your experience varies - that’s fine, but please stop coffee-shaming those of us that get far more utility out of our time at Starbucks, okay? Next, let’s enjoy some math. Coffee-shamers insist that daily coffee is meaningful as an item to cut out of your budget. I argue that most of us have more significant changes that we can make before needing to cut our coffee habits. Car payments. The average monthly car payment in America is $493 (the average monthly lease payment is $412). And pricier cars are come with more expensive auto insurance payments. Average auto insurance payments vary, but range from $213 to $77, with an average across states of $125. If you can reduce your costs 25% below the average, you’d save $154.57 monthly. You could do this by buying a slightly less expensive car (say, 4 years used instead of 2 years, or used instead of new, or buy instead of lease), by shopping around on your car insurance, or increasing your insurance deductible. Further, if you can pay off your car and drive it for many, many years, you’ve saved the entire payment (though of course, you’ll have maintenance costs). LIfe insurance. No, I’m not telling you to ditch your insurance. In fact, I’m a big fan of ensuring you’re managing your risk by being properly insured. But, I’ve found that many people struggle to understand insurance, and therefore may not have the right policy in place. Whole life insurance policies can be popular with agents that enjoy the hefty commissions many of those policies provide. However, many of us are effectively insured with less expensive term life insurance. In one comparison, a healthy 30-year old would pay $286.66 monthly for a $250,000 whole life insurance policy. That same coverage in a term life insurance policy costs $21, representing a monthly savings of $265.66. The sneaky ways we spend more than we mean to. I’ve written an entire post on this topic, but I’ll summarize it in two words: Target and Costco. You know what I’m talking about, yes? Your store may vary, but many of us have places that we simply can’t leave without spending more than we mean to, on things we don’t really, truly value. After reviewing many, many household budgets I’ve observed that nearly every household has more than $200 in monthly savings on these unintended expenses. The three categories above represent areas where you could look to trade off for more meaningful expenses, but there are countless others. If you value your daily coffee, track your expenses, and look for any areas that are far too high relative to what you value. Bam, you’ve found savings and get to remain caffeinated! I’ve saved my favorite argument for last: Cutting small expenses is critical to building wealth. Wealth is created in the gap between expenses and income. I wholeheartedly believe that increasing your income is the more important part of the wealth-building equation. The energy to focus on cutting daily indulgences you value, like Starbucks, would be better placed on developing your career, creating a meaningful side-hustle, or networking yourself into that new job you’ve been angling for. It is easier to save and invest when your income increases; automatically transfer the additional funds to your savings accounts, investments, or biggest debts. You’re building wealth by mindfully putting this increase towards your financial goals, without having to walk enviously past your favorite coffee shop. Further, expenses can only be cut so far; and while some choose to (or, importantly, have to) live on less, your income potential is theoretically limitless. Technology, social networks, and the increasing demand for quality knowledge workers lower barriers to innovation and entrepreneurship. Given limited time, I recommend you prioritize growing your income as a more productive long-term improvement (versus cutting modest expenses you get value from). Despite what you might read, you don’t need to give up your daily coffee to get rich! Furthermore, if you value the experience and luxury of a regular coffee, purchased coffee is not an equivalent experience to home brew. As I outlined above, there are many other meaningful items to cut out of your budget if you’re looking to reduce expenses. Finally, we run up on reality - there’s a limit to cutting expenses, so placing extra energy on increasing income is a smarter investment of your limited time and resources. So, enjoy the experience of your daily skinny vanilla latte if it’s something you truly enjoy. See you at Starbucks...I’ll be the one chatting with the baristas while working away on my blog! Cheers. This post was originally written for Dirt Cheap Wealth, as part of her “Breaking Financial Myths” series, where Personal Finance bloggers challenge oft-repeated (yet seldom understood) personal finance concepts. Investing is defined as, “the outlay of money usually for income or profit.” The idea behind investing? Put your money to work for you, in something you believe will increase in value over time. Investing your money in the stock market may seem like a foreign concept; How do you know which funds to invest in? How does trading actually work? And what the heck is a mutual fund? There are some gender differences, too. Men are generally more confident about investing, while women are more goal-directed and trade less. Women tend to keep 10% more of their savings in cash than our male counterparts. Millennial women report a lower level of financial comfort. On average, we are less likely to feel “in control” or “confident” about our financial future. And, women generally have a smaller total invested when we retire - because we earn less. Where to start? I’ve got you - the items below serve as a beginner’s guide to investing. Is there anything more powerful than the idea of your money making money for you, without you lifting a finger? That’s at the heart of investing. The power of compound interest means that the earlier you invest, the sooner your investments start growing and making money on your behalf. This builds your wealth far more rapidly than saving in a checking account. When people talk about investing in “the market” what are they referring to? Today’s markets are largely exchanges - like the New York Stock Exchange (NYSE) - that allow us to buy and sell investments to others. You’ve seen photos of business executives and celebrities “ringing the bell” to open the NYSE, but it’s not the only market; others include the NASDAQ, London Stock Exchange, and many others. The market is a general term for spaces where companies go to attract investors, and where investors buy and sell with each other. Buying stock is like purchasing a little slice of a company. Say you buy stock in consumer goods company P&G (manufacturer of Tide, Crest, Dawn, Tampax, and many other household names); that stock costs $90.98 per share at the time of this writing. If you buy that share, you are betting that P&G will continue to grow and make money. P&G uses your $90.98 to invest in its business; open new locations, fund new products, hire new staff. Companies like P&G that offer stock to investors often give investors some of the money they earn. Every three months, these companies tell investors how they are doing by issuing financial statements. If they are doing well (taking in more money than they spend, which is called profit), they will often give a portion of the money to investors. These payments, called dividends, can be re-invested or cashed out by investors. Investment accounts are offered by financial services companies (like Vanguard, Charles Schwab, and Fidelity) and allow you to buy stocks and other investments. Once you’ve determined what to invest in, it’s easier to select the right investment account. There are several types of investment accounts, designed for different purposes. Retirement accounts are for the future, and include 401(k) and IRA accounts. These typically include penalties if you access them before retirement age, and the government often gives you tax breaks on them to encourage investing. Retirement accounts, like a 401(k) or 403(b), can only be offered through your employer. They are named for the section of the Internal Revenue Code that outlines how they work. 401(k) plans can be offered by private companies. Similarly, 403(b) plans can be offered by public education employers, some non-profits, and the like. While 401(k) plans are offered by employers, a Roth or traditional IRA is available to anyone that earns an income. This helps those that work for companies that don't provide a 401(k) benefit, as well as those who want to invest more for their retirement. Some people prefer Roth accounts because they like the predictably of knowing they will not be taxed in the future. Regardless of whether you prefer a Roth or Traditional IRA, the most important step is to begin investing. Either would be better than neither! 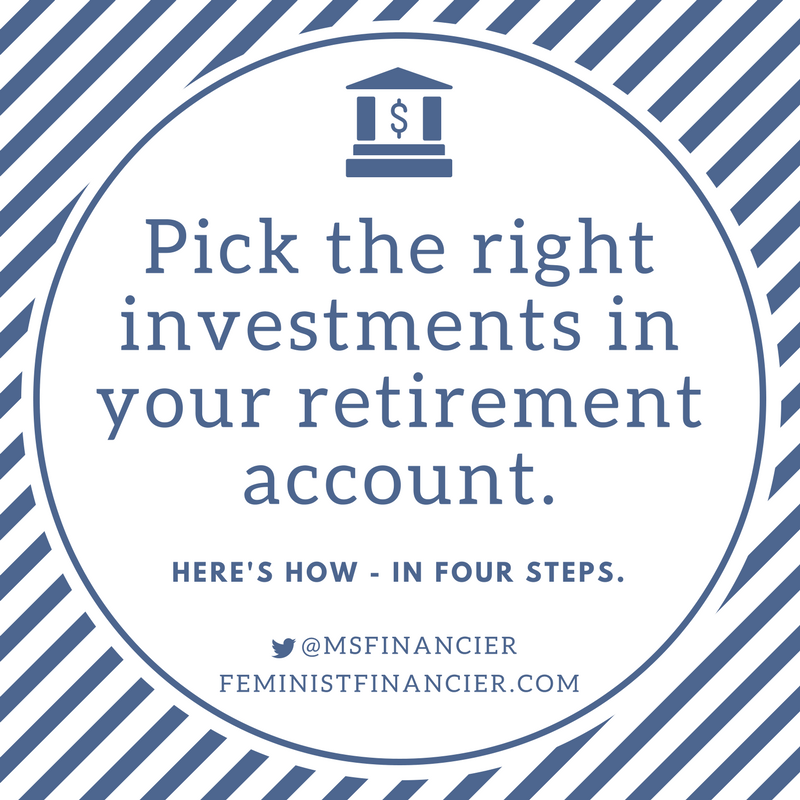 Once you have selected both the type of account you are focused on (IRA, 401(k), brokerage) and the financial services provider (Vanguard, Fidelity, Charles Schwab), you need to fund the account by putting money in. If you are just starting to invest, you can call the financial services provider or go to their website to send them your money and open your account. This money will sit in the investment account in cash until you decide which investments to purchase. 11. It is very, very hard to pick the right stock to buy. All this knowledge is useless if you don’t put your money to work for you by selecting an investment. 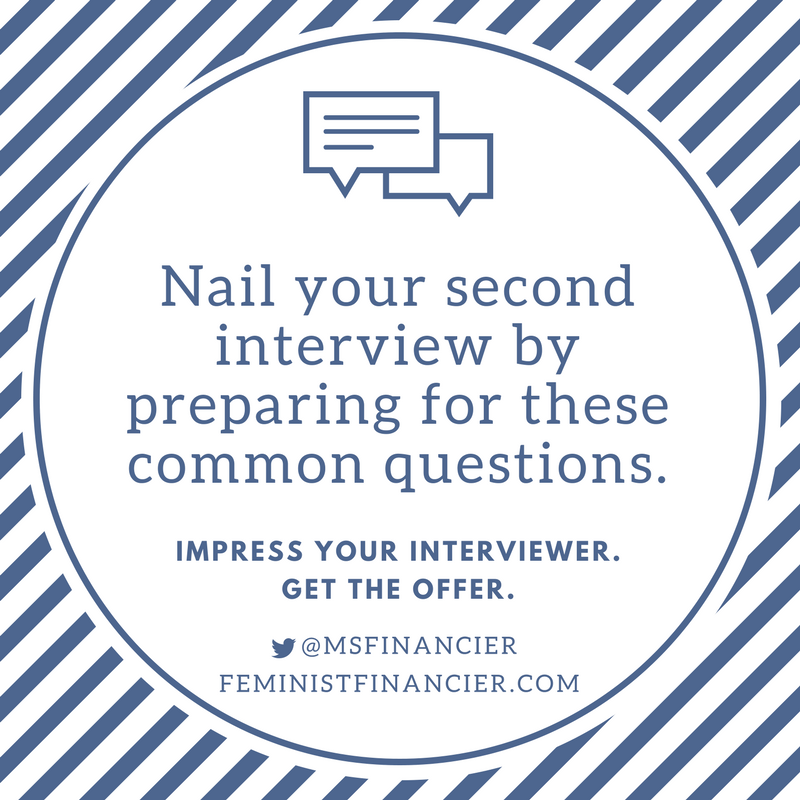 This is where many women, wanting to know all the details can face analysis paralysis. Since a stock is like purchasing a little slice of a company, many people like to analyze company information (financial performance, industry trends, competitive landscape, emerging regulations), and then buy the companies they think will win. A caution: this is very, very difficult to do. If you are buying individual stocks, it is very challenging to consistently make money. Think about it; as an individual investor, you need to be educated enough to buy only the stocks that will continue to pay dividends OR buy (and sell) the right stocks at the right time, when they increase in price. And you’re competing with everyone else who watches the market - including professionals. One of the money mistakes I made was trying my hand at purchasing individual stocks. I have shared how that worked out - disastrously - for me. There are over half a million companies you can invest in on public exchanges. How will we pick the right ones to buy stock in? Read the next steps to learn how. Mutual funds are one investment vehicle that allows us to buy many, many stocks in just one purchase. I prefer these to individual stocks because you can own hundreds of companies in each share. Many retirement accounts only allow mutual funds, given they offer more companies in each purchase and are generally seen as less risky than stocks. ETFs are my favorite type of investment. ETF stands for Exchange-Traded Fund. Like mutual funds, ETFs allow investors to buy many companies in a single share. They are nearly identical to mutual funds, save for some technical differences (how they are traded and regulated, for example). I like these better than individual stocks and even mutual funds because they are generally less costly to the investor and have low expense ratios, as I explain in the next step. What's the expense ratio? This is how much the company that manages the mutual fund or ETF charges you for their work. An average expense ratio is around .6% - meaning, for every $100 you have invested, the fund rakes in 60 cents. Sounds small - but tiny fees make a meaningful difference in your wealth over the long term. Vanguard’s average expense ratio is .12% - meaning, for every $100 you invest in a Vanguard mutual fund, they charge 12 cents. That’s much, much lower, and lets you keep more of your hard-earned money. You can find these fees easily online when you research your potential investments, because companies are required to publish expense ratios and 12b-1 fees to their prospective investors. Fees are taken directly out of the investment, so you do not see a “line item” of how much they are when your money is invested. This is convenient for expensive funds with high fees. Returns are indicators of how well (or poorly) investments perform. They help investors easily compare performance across different investment vehicles. Returns are expressed in percentages. For example, if I invested $100 in an ETF that achieved a 4% one-year return, I would have earned $4 in that time period. You can compare any range of time when looking at returns and compare your potential investment to a few big benchmarks. Investment returns are from past performance and are not a guarantee of how well they will do in the future. However, they are a useful indicator. How did this fund perform over the last decade, compared to the S&P 500? The S&P 500 is a very common performance benchmark because it includes the 500 largest U.S. companies. If the mutual fund or ETF seriously underperformed the S&P 500, it may not be worthy of your hard-earned money. There are many ways to evaluate investment performance. I recommend using the 10-year return because I like a longer view into performance. Compare your investments 10-year return to the S&P 500 10-year return so you can see if you are buying something slightly better than, or worse than, the performance of that group of companies. Candidly, I keep my investments very simple and largely buy ETFs and mutual funds that match the S&P 500. That works well for me. Investment experts like Warren Buffett recommend this approach for individual investors and studies show it is very difficult to beat “the market” consistently (meaning, a large benchmarked group of companies like the S&P 500). Many financial services providers offer “target date funds” which are designed to help you save for retirement by adjusting over time. These funds buy less risky investments as the target date gets closer. If you are planning on retiring in 30 years, you would buy the target date fund that is dated 30 years from today. Keep an eye on the expense ratios and other fees associated with these funds. Many are modest, but I have seen some that are far higher than the average mutual fund (which is .6% industry-wide but .12% for Vanguard funds). I strongly recommend a regular, automatic transfer timed with your payday. Start with whatever you can afford today, and aim to steadily increase it over time. Investments like mutual funds and ETFs make money for investors in two basic ways. First, the company may perform well, create profits, and pay stockholders dividends from those profits as I outlined above. Dividends are a financial “thank you” for investing in the company. If you choose to reinvest the dividends you receive, and buy more shares, you are creating a powerful wealth-building cycle. Second, you can make money by selling your stock to someone else. Then, you profit (or lose) the difference. Is there more complexity we could examine? Sure. 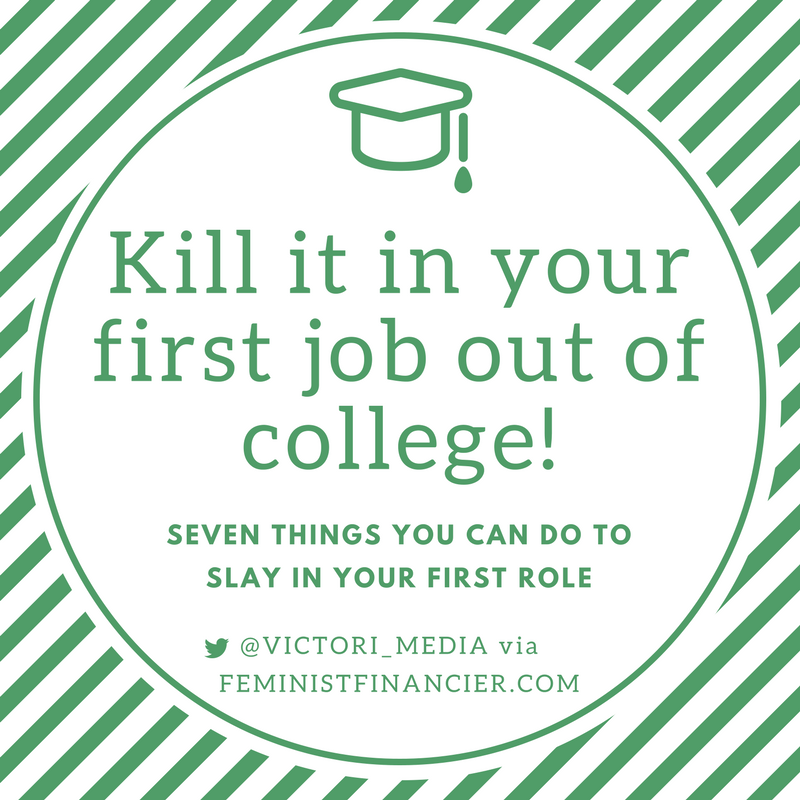 But, these basics will put you ahead of most that are hesitating to get started due to lack of knowledge or analysis paralysis. Don’t let that be you. Are you ready to get started? You've got this! One of the best things about building wealth and making money is the opportunity to give your money away. 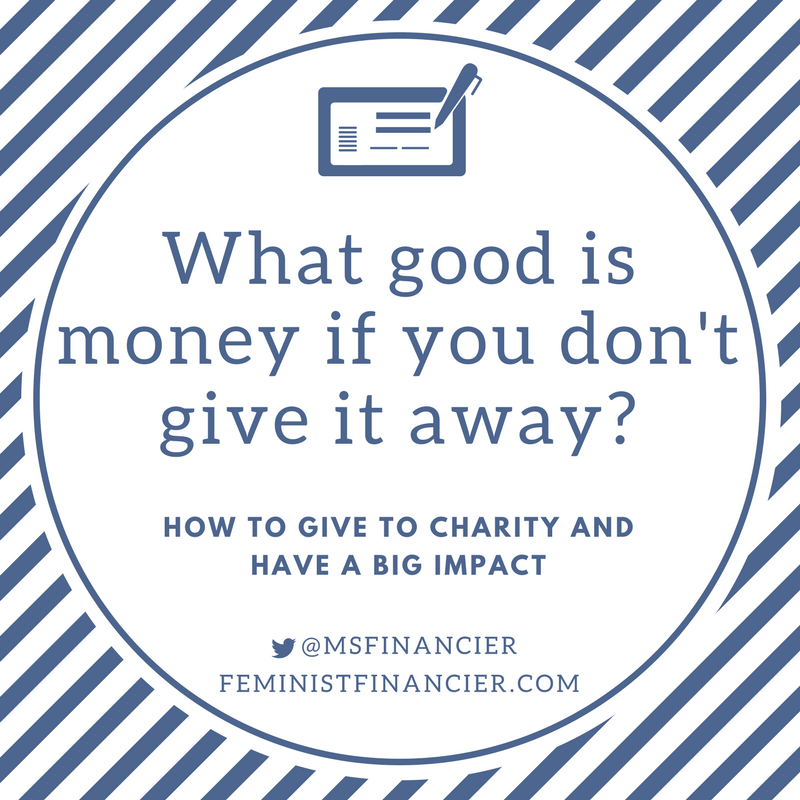 On this blog, I’ve talked about giving to charity as one of the six expenses I’ll never cut back on and donating regularly is one of the things that successful 30-year olds should be doing with their money! I believe that anyone that is privileged enough to be investing, budgeting, and saving extra money has an opportunity to have a big impact through charitable donations. Here’s how to give to charity and have a significant impact across the course of your life. Select a few causes that mean the most to you. I recommend identifying a small number of charities or organizations that align with your values and passions. Selecting 3 - 6 that you can truly research, understand, follow and volunteer with allows you to stay close to the impact your donations are having. By now, you’ll realize I’m a fan of focus and simplicity. With a smaller number of organizations, you can truly remain engaged and aware, and your limited resources will, by definition, go further among a smaller set of causes. What if you have more than six that you care deeply about? That’s fabulous - I don’t want you to feel limited - but think carefully about how you’ll prioritize your limited time and money to support a wider group. Research them carefully. There are amazing resources today that help you understand the impact your selected nonprofit is having. I prefer Charity Navigator, which is itself a charitable organization. Charity Navigator evaluates nonprofit organizations against a variety of objective criteria, including financial health, accountability, and transparency. Using their site, you can easily explore how the organization uses its budget, understanding how much goes to paying its staff, versus to the causes it is designed to support. Set up recurring monthly donations. Like anything in your financial life, automation will make your donations easier to maintain. Further, recurring donations provide your charities with a more reliable stream of income. Fundraising is costly and very time-intensive, so your automatic donation helps alleviate some of that strain. How much should you donate on a monthly basis? Like everything in personal finance, the answer is “it depends.” Many cite 10% of your income, linking back to the practice of tithing. I recommend starting with that as a benchmark - and lowering or raising it to fit your budget. When your income increases, or your expenses drop, you can adjust your donations as needed. Evaluate your budget for additional donations. If your budget allows, you may want to create space for additional donations to the causes you care about. Many organizations have an annual fundraiser and run periodic giving campaigns. Contributing to those efforts provides additional support to the programs you value. Mr. Financier and I set aside budget to participate in - and invite guests to - the annual events that are thrown by our favorite charities. It’s a great way to connect our friends to the causes we care about, connect with the leaders of the organization, and understand the progress and strategies of the coming years. Determine your practice for unexpected donations. The causes you care about deeply represent your personal priorities. However, if you’re like me, you have friends and family that have other philanthropic passions that they work to support throughout the year. These efforts often come in the form of a personal campaign or athletic competition. Explore your company’s employee matching policy. Once you’ve settled on your charitable goals, your company may be able to provide additional support. Many businesses offer Corporate Matching Gift Programs, where the company will match employee donations, usually up to a certain dollar amount annually. Contact your human resources team to understand if your company has one in place, and if they do, take advantage of this “free money” for your favorite causes! Don’t forget about donating clothing and household goods. You could spend time selling your gently used items online, or via consignment...but if you can afford to go without that “found income,” donating your physical goods to shelters, return-to-work programs, and other organizations can have a tremendous impact. When donating physical goods, take the time to research the requirements of the specific charity - you’ll save them time and effort if you provide only what they are looking for. Finally, no amount is too small. Occasionally, I hear women muse about whether “smaller donations” have an impact. While large donations catch headlines, every nonprofit is grateful for even the most modest amount. Start with what you can afford, and don’t demean your donation. Every contribution counts and will support the organizations you care about. Are you interested in learning more about smart giving strategies? I loved the Charitable Giving Boot Camp episode of the Better Off podcast. Host Jill Schlesinger speaks with the CEO of Charity Navigator about how to maximize your charitable giving. Their discussion explores the impact of philanthropy and several common questions about charitable giving. One of my other favorite podcasters, Jean Chatzky, also addressed charitable giving on an episode entitled Doing Well While Doing Good with Katherina Rosqueta, the founding executive director for the Center for High Impact Philanthropy at the University of Pennsylvania. Katherina noted that 80% of Americans give to charity, and shares several practical tactics to bring to your own philanthropic efforts. She also reminded listeners that philanthropy isn’t just for the wealthy - anyone that engages in charitable efforts is contributing to the greater good. I haven’t addressed the potential tax benefits of charitable donations, but there are opportunities to deduct donations from your tax bill. This is a nice incentive, but not the driving purpose behind my giving, personally. I’d love to hear about the strategies you use to support your favorite charitable organizations! How did you identify the causes and organization you support today? 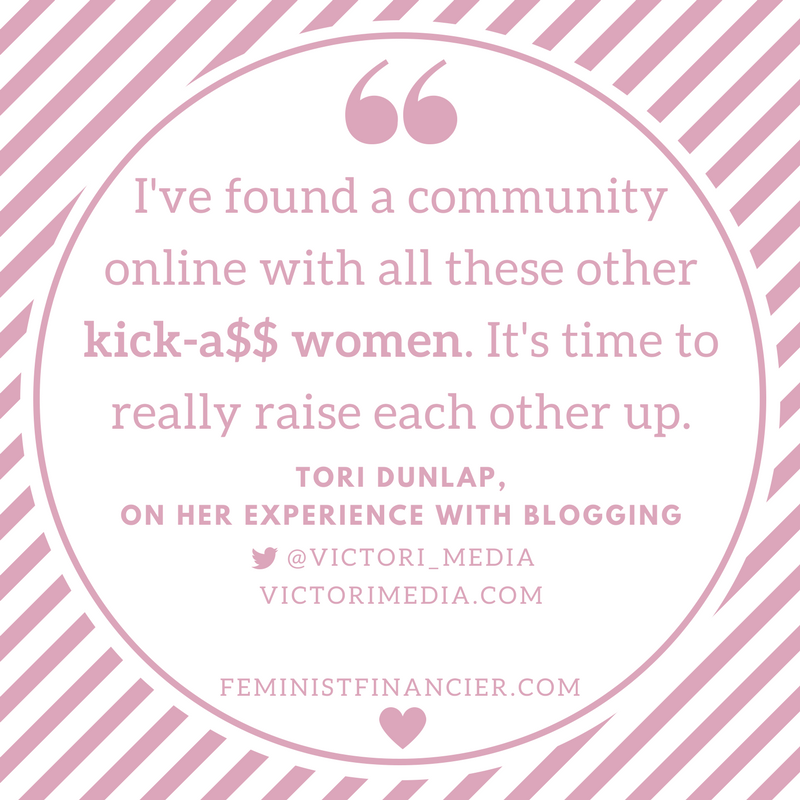 What techniques do you use to balance their support with your other financial priorities? Looking forward to your feedback! Each of us has a unique set of values that we hold dear, even if we haven’t defined them. For example, I value security and exploration very highly; in the past few years, I’ve gotten better at consistently aligning my money with these values. As a result, I’m a happier person. Exploration includes mountaineering adventures, local hiking and kayaking, as well as traveling to new cities and continents. Therefore, I prioritize funding my travel budget; it is one of the six expenses I’ll never cut back on. I also prioritize donating to nonprofits that support conservation and preserve the beautiful spaces I enjoy exploring. I recommend that each person (or couple, if you’re partnered) first take the time to define what they value. Financial guru David Bach says, “When your values are clear your financial decisions become easy.” I couldn’t agree more. Defining and recording your values may seem like an unnecessary step, but they serve as the foundation to your money goals. If you’re struggling with this step, watch David Bach and Marie Forleo have a candid discussion about this philosophy. However, without goals, your values can go unfulfilled. The next step is to define goals to align your finances with your values. Otherwise, it can be terribly easy to spend on material goods that provide momentary joy, but don’t have a long-term impact on your life. There’s a type of goal you should create, referred to as a SMART goal. These are Specific, Measurable, Achievable, Relevant, and Time-bound objectives that will define your plan and allow you to measure your progress. My partner and I consistently use SMART goals in our financial planning. In 2006, we were in credit card debt. I had over $10,000, and Mr. Financier had over $2,000. We created a goal to eliminate that $12,000 debt completely in one year, with two $500 payments each month, diverting any “found” money to debt, and reducing three household expenses. We paid the debt off earlier than planned; having a SMART goal helped us stay the course and remain accountable. I recommend you focus on no more than three SMART goals at any given time. Ideally, these goals have different time horizons, with one that you can accomplish in six months or less. For example – today, I have a goal to save for an upcoming trip (in the next three months) and another long-term goal to achieve financial freedom before the year 2027. 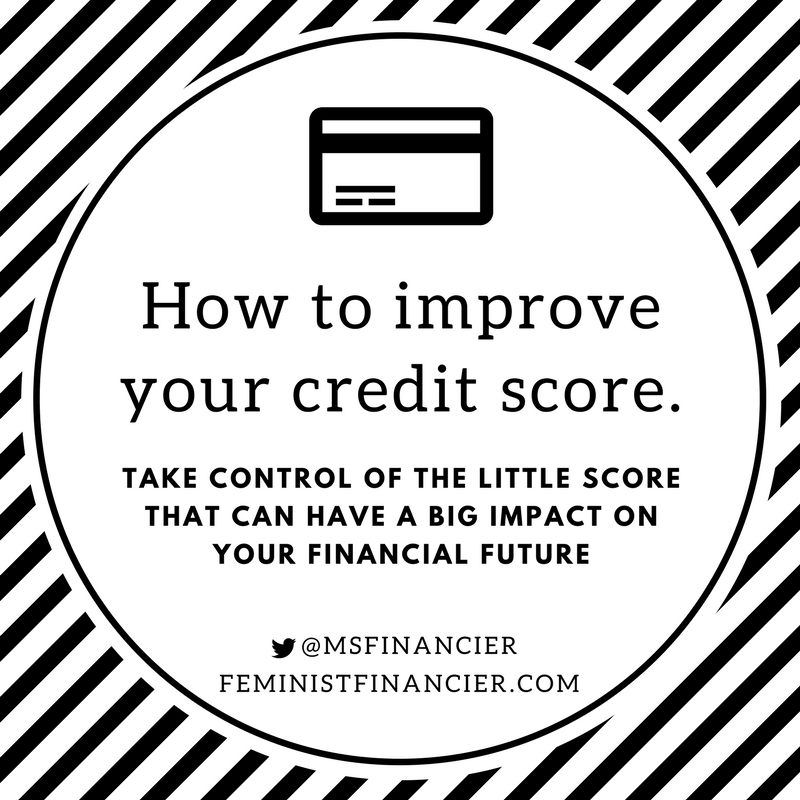 By recording and defining your values and creating SMART goals to align your finances accordingly, you’re taking a critical step to strengthen your future. What values do you hold dear? How are your money goals supporting those values? I’d love to hear from you. I also wrote about values-based budgeting in the She Spends newsletter. She Spends is a weekly newsletter and website created to close the wage gap, investment gap and board seat gap among women. I admire their goals and love their content.